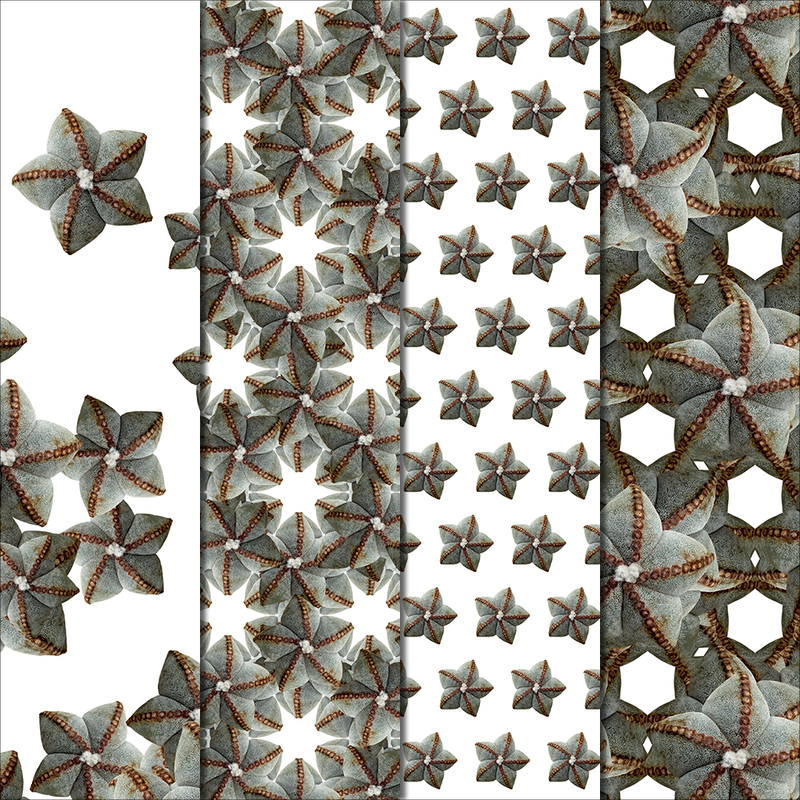 Inspired by nature, these botanic patterns are made with REAL Bishop’s Cap Cactus succulents. Each pattern is made with natural photographic elements. 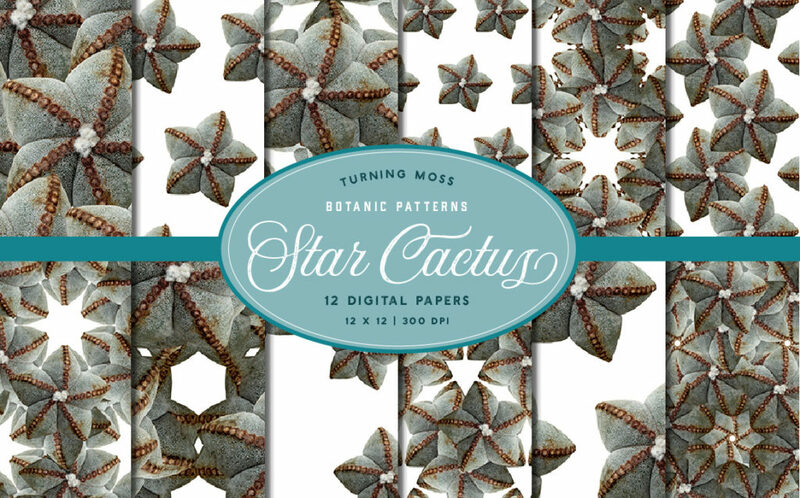 In this pack you will find 12 unique decorative papers, created entirely with digital Bishop’s Cap Cactus succulents. 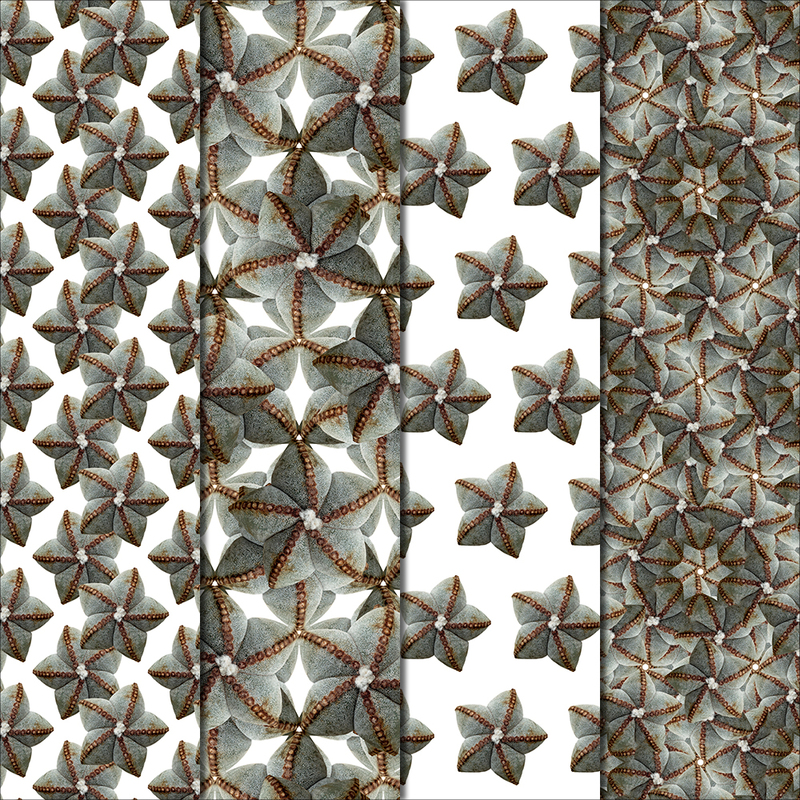 The Bishop’s Cap Cactus featured in these patterns is a natural star in the succulent world. I mean, literally- it’s star shaped! This cactus is a deep sage color and is covered in white flecks. It’s spineless, instead pointy spikes, it flaunts soft flocked trichomes down each rib- stylin’! 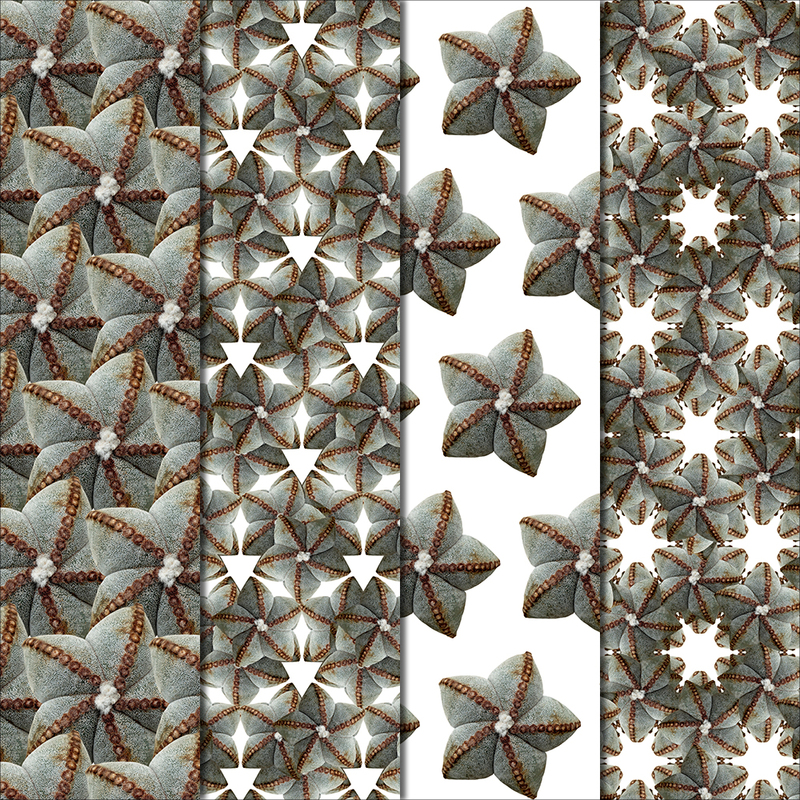 The patterns in this pack are all made with a WHITE background.